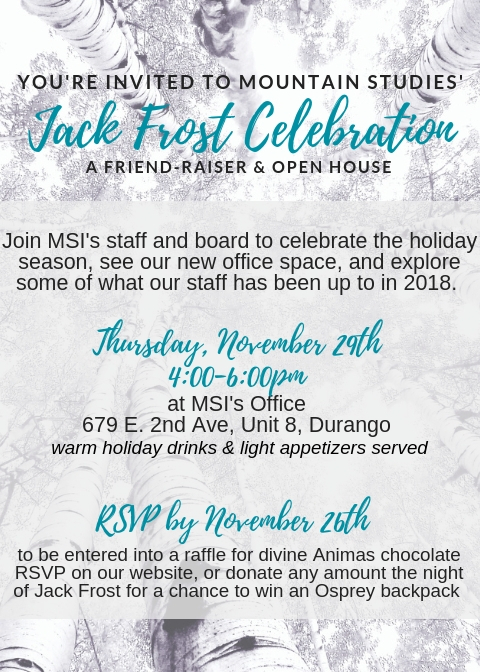 Register here by November 26th to be entered into a raffle for a Animas Chocolate Co. gift package. Donate any amount at the event or through registration page to be entered into our main prize drawing, including an Osprey backpack and local jewelry. You’ll be welcome to explore our office and learn what we’ve been up to this year, from forestry to alpine botany and hydrology to mountain learning.